Forgive my absence. Let’s just call it my summer vacation. But, I’m back. In this WinkWorld, I want to share a bit of magic, which I experienced yesterday when the University of Arizona and the Grambling State University marching bands were practicing on the UofA campus. They will be doing ONE formation together tonight at the game. 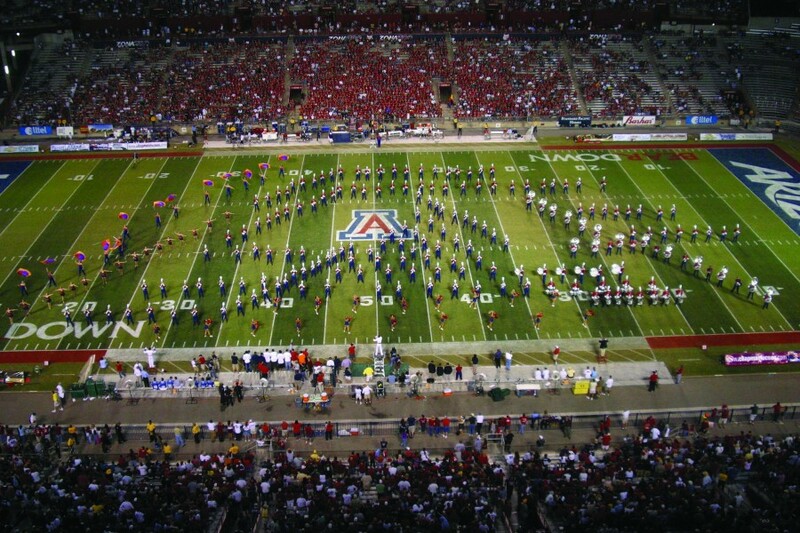 Here is The Pride of Arizona Wildcats Marching Band. Here is the Grambling State University Tigers Marching Band. 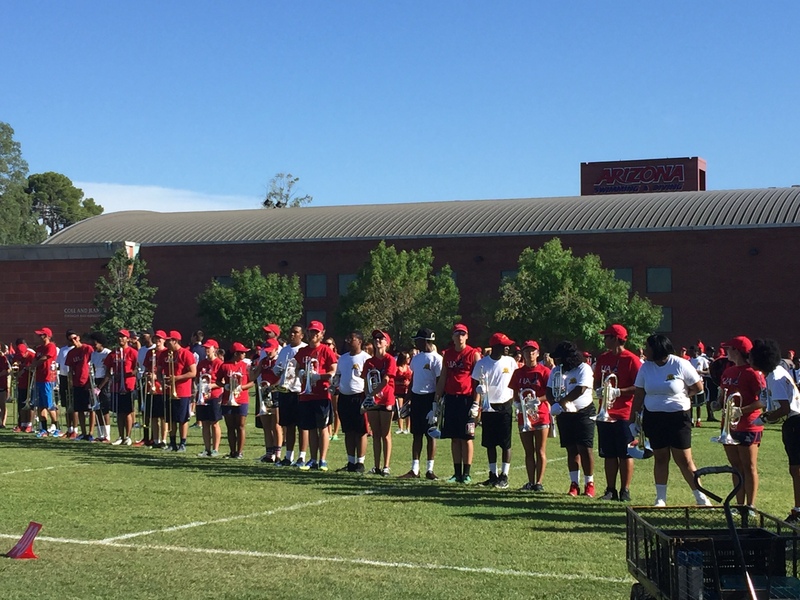 Here are members of both bands: red t-shirts are AZ students and white t-shirts are Grambling students–hundreds of students listening carefully and following the directions of the UofA band director. 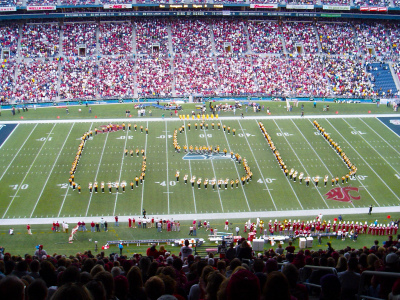 At one point, the young UofA band director asked all students to hit the e major cord, and the older (okay, about my age) Grambling band director whispered in his ear, “Tell them the final cord in “What Goin’ On” by Marvin Gaye. When the practice session was nearly over, both directors spoke from their hearts to the students about the power of music to bring love and unity. When practice ended, the Grambling band director said that his students had a song to sing and play to honor the UofA students. The Grambling students started to sing and then play “Lean on Me” by Bill Withers. I walked away in the hot Tucson sun, with tears in my eyes. About an hour later, I returned and all of the kids from both universities were huddled in groups talking, laughing, singing, and dancing. What a beautiful day! The love and joy the students and directors shared will make lasting memories! Hi Kristy, it was beautiful.